Last summer, when the Chelsea goalkeeper, Thibaut Courtois, moved to Real Madrid, it alleviated any fears that our very own goalkeeper, David de Gea, would leave Old Trafford for the Bernabeu. However, despite the chances of losing our keeper to the Spanish giants, it appears that it hasn’t been all plain-sailing when it comes to tying the 28-year-old to a new deal at Old Trafford. 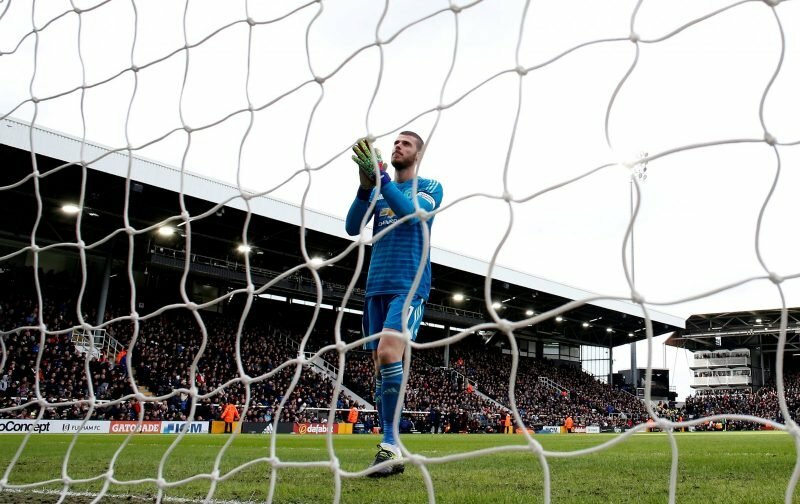 According to the news source, the Metro, on Saturday, Manchester United were very close to getting a deal across the line that will see the goalkeeper commit to another five years with the club. However, whilst it seems likely that a deal will be done, it appears it is going to come at some cost to the club. The tabloid publication, the Mirror, is reporting that de Gea is insisting that his new contract will see his salary increased to a mammoth £350,000 a week, a deal that would make the Spaniard the second-highest paid player at the club, behind Alexis Sanchez. To me, that’s a mind-boggling amount of money, de Gea is set to earn more in a week than most of us earn in a decade. But, with that being the way football is at the moment, it is essential that the club gets the deal done, we all remember the trouble we had getting somebody to fill the voids left by Edwin van der Sar and Peter Schmeichel.